While the bright blue Submariner ref. 116619 may be nicknamed after a children’s cartoon character, there is certainly nothing child-like about this Rolex diver’s watch. 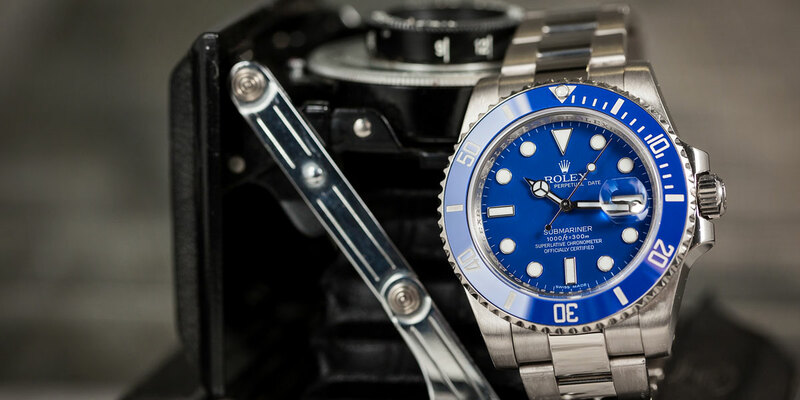 Beefy, ultra-precious, and very expensive, let’s shine the spotlight on the “Smurf” Submariner ref. 116619. The Submariner 116619 a watch that will look amazing on any wrist. The Rolex Submariner ref. 116619 made its debut at Baselworld 2008. To the untrained eye, this may look like a standard stainless steel Submariner but, of course, it isn’t. Rather, the Submariner 116619 is crafted in solid 18k white gold, which certainly makes this more of a luxury sports watch than a Rolex tool watch. Yet, like all Rolex diving watches, the Submariner 116619 is built for the task at hand should the need arise—but more on that later. Here is a microshot of the Submariner’s crown. The Submariner ref. 116619 retains the characteristic 40mm Oyster case but features wider lugs and bigger crown guards than its predecessors, therefore it wears bigger. As a contemporary model, this Rolex Sub is outfitted with a Cerachrom ceramic unidirectional rotating bezel, in addition to larger lume plots on the dial. 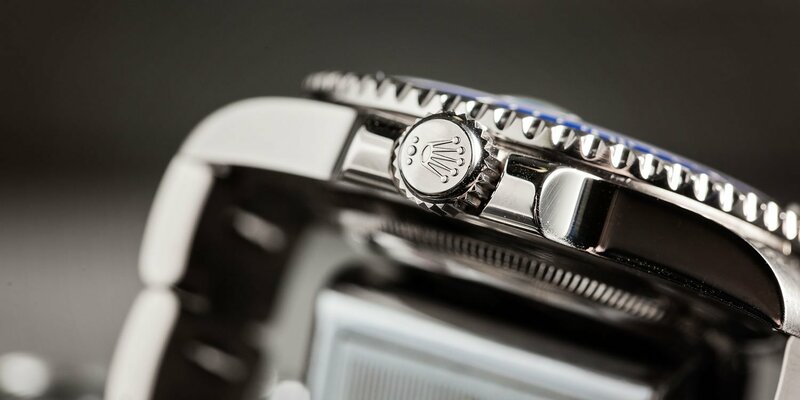 However, the most striking feature of the white gold Submariner ref. 116619 is the vibrant blue color of the dial and bezel, which is the reason for its “Smurf” nickname. 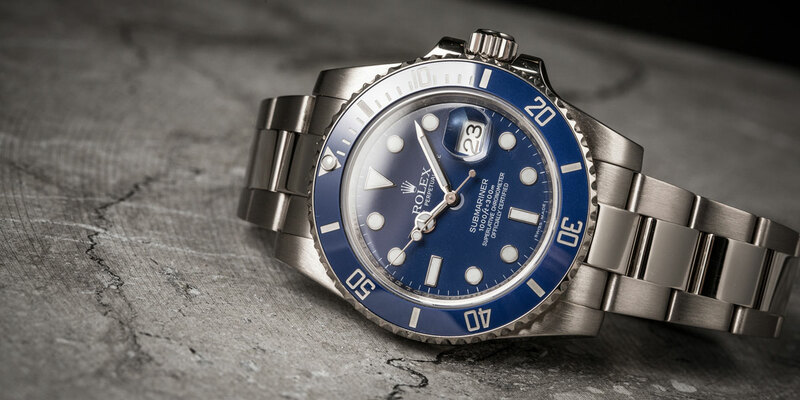 It’s worth noting that the blue shade on this particular Submariner is a different blue than other blue Submariners. Here are the details of the clasp. Despite the fact that the Submariner ref. 116619 will probably never go for a dive given its precious 18k white gold construction, it is still built as a diving watch. As such, like all modern Rolex Subs, the Submariner ref. 116619 can safely plunge to 1,000 feet (300 meters) deep under water. What’s more, to accommodate thick diving suits, the Submariner ref. 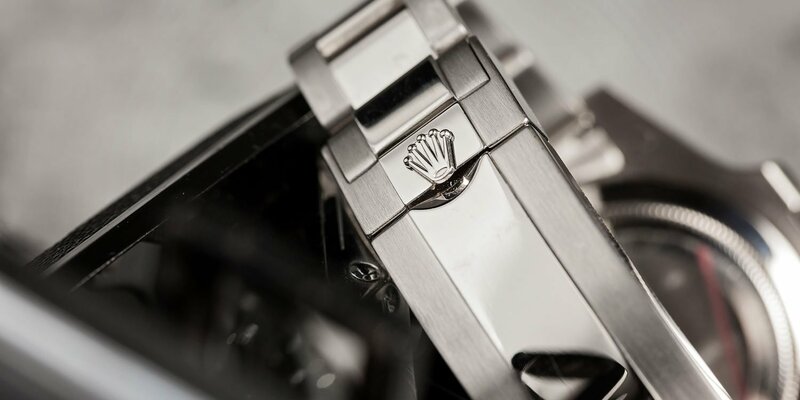 116619 features the clever Glidelock extension system on the Oyster bracelet’s clasp. No tools are required to make the bracelet longer or shorter, simply slide the Glidelock mechanism until the perfect fit is reached. The lume on the watch makes it highly visible in dimly lit places. 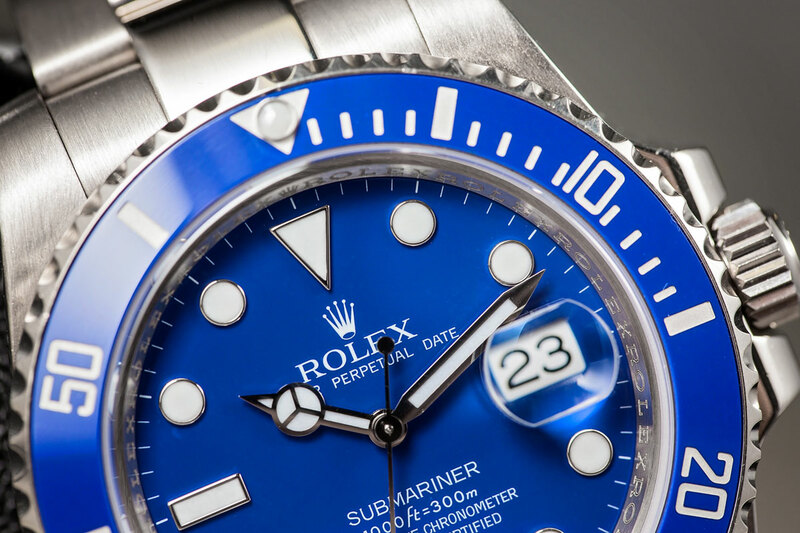 For optimal legibility in low light, the blue dial of the Smurf Submariner features a Chromalight display, which is Rolex’s own luminescent material that glows blue rather than green. It’s said that Chromalight can last up to eight hours in the dark. In addition to the luminescent hands and hour markers, there’s also a lume plot on the bezel to make tracking dive immersion times even easier. Powering the time and date functions of the Submariner ref. 116619 is the famous Rolex in-house Cal. 3135 automatic movement with 48 hours of power reserve. Would you pick up this Smurf? Comment below. With its dramatic look and hefty price tag, it’s not surprising that the 18k white gold Submariner ref. 116619 is a popular model among celebrities. We’ve spotted it on the wrist of celeb chef Gordon Ramsay, actor Will Arnett, and rapper Tinie Tempah. Aside from celebrities however, the blue Submariner ref. 116619 is a popular choice among Rolex fans too. However, due to its retail price of over $36,000, owning one is reserved for a select few. While we may not be fans of its nickname, we certainly love the look and functionality of the Submariner ref. 116619. What are your thoughts on the white gold and blue Submariner ref. 116619? Do you like this particular blue color? Leave us your comments below.